Lawsuit Filed Over Diddy’s Storefront: Owners of Sean John’s NY location take legal action against building for abandoned scaffolding. *The company behind Diddy’s Sean John store in New York City just filed a lawsuit against the owners of the building, claiming they put scaffolding in front of the door in 2006 and never took it down. 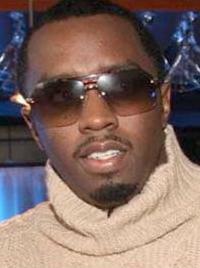 Diddy’s company, Christian Casey LLC, blames the scaffolding for its nearly 50 percent drop in sales since the metal poles began blocking their leased portion of the Fifth Ave. property. The lawsuit asks for $2.5 million in damages. Previous ArticleNY Mayor Signs Bill For 'Sean Bell Way': Street officially renamed for police shooting victim. Next ArticleSir Charles Booked For 'Saturday Night Live': NBA veteran to host show's first broadcast after the holidays.